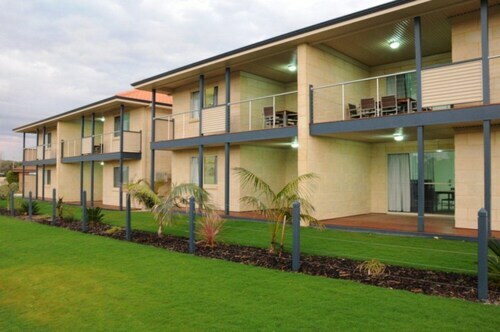 Situated in Cervantes, this golf apartment building is within 1 mi (2 km) of Pinnacles Visitor Centre, Thirsty Point Lookout, and Lake Thetis. Nambung National Park is 8.8 mi (14.2 km) away. 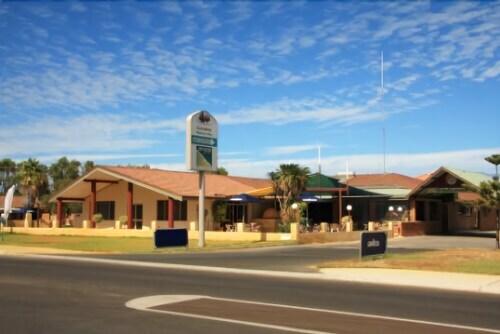 Situated near the beach, this hotel is 0.6 mi (1 km) from Pioneer Park and 2 mi (3.2 km) from Lancelin Sand Dunes. Lancelin Golf Course is 3.1 mi (5 km) away. 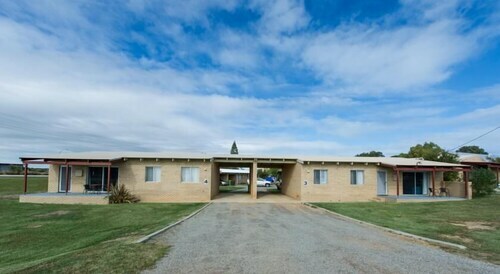 Situated in Cervantes, this motel is within 1 mi (2 km) of Pinnacles Visitor Centre, Lake Thetis, and Thirsty Point Lookout. Nambung National Park is 8.7 mi (14.1 km) away. 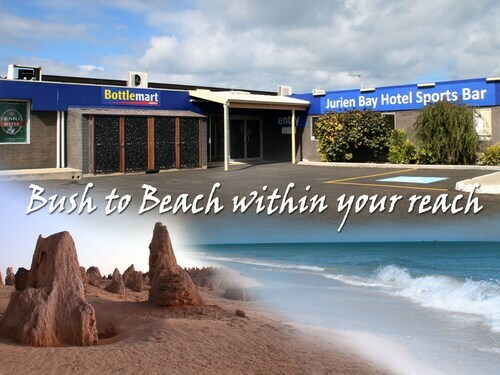 Offering direct access to the beach, this Jurien Bay motel is within a 15-minute walk of Jurien Bay Jetty and Jurien Bay Country Golf Club. Jurien Bay Harbour and Jurien Bay Marine Park are also within 2 mi (3 km). Situated near the beach, this apartment building is within 1 mi (2 km) of Pinnacles Visitor Centre, Thirsty Point Lookout, and Lake Thetis. Nambung National Park is 8.7 mi (14 km) away. If you're planning to spend a night or two smack bang in the middle of Cervantes, you may struggle. However, there are 4 suitable options available within a radius of 10-kilometre. Some of the best hotel options near the hustle and bustle are the RAC Cervantes Holiday Park and Pinnacles Edge Resort. If you find yourself in need of more options in Cervantes, look into the Heights Bed & Breakfast and the Cervantes Pinnacles Motel. They are located 30 kilometres and 8 kilometres away from the center. Wotif also suggests the Jurien Bay Tourist Park and the Cervantes Holiday Homes. The first is 30 kilometres away from the center, while the second is 8 kilometres away. Don't be a flamin' galah and farewell Cervantes without checking out the other good things to do and see in Coral Coast. Photograph Coral Coast's beaches, cliffs, desert landscapes and gorges. Alternatively, spend time at some of the area's nature museums and history museums. More active visitors might also try hiking. Perth International Airport a logical gateway to Cervantes. Nearby hotels include the Assured Ascot Quays Apartment and the Country Comfort Inter City Hotel Perth. How Much is a Hotel Room in Cervantes? Hotels in Cervantes start at AU$109 per night. Prices and availability subject to change. Additional terms may apply. Quiet area, spacious unit,. Sparce but very comfortable.